Buffett not only advocates index funds, he’s betting on them. The June 2008 issue of Fortune3 Magazine reported that Buffett wagered a million dollars that an S&P 500 index fund’s ensuing 10-year returns would beat those of five actively managed funds or hedge funds chosen by Protege Partners, a prominent New York-based asset management firm. Citing the Wall Street Journal, Buffet’s hand picked S&P 500 index fund compounded an annual return of 7.1% compared to the basket of funds selected by Protégé Partners, which returned 2.1% from January 2008 through December 2017. An interesting note, Protégé Partners hedge fund manager Ted Seides, who accepted the wager with Warren Buffett, admitted defeat almost eight months in advance of the December 31, 2017 end date. Benjamin Graham, influential economist and mentor to Warren Buffett, spent most of his professional life analyzing companies for stock market bargains. However, shortly before his death in 1976, Graham rejected his previous beliefs, stating that he is “…on the side of ‘efficient market’ school of thought now generally accepted by the professors.” Graham was a visionary in his early description of what is now known as value index investing. So what is the lesson here? Like the illustration on the following page titled Bear the Risk, when you fully embrace a new way of investing, you can substantially reduce the stress and anxiety commonly experienced by active investors. 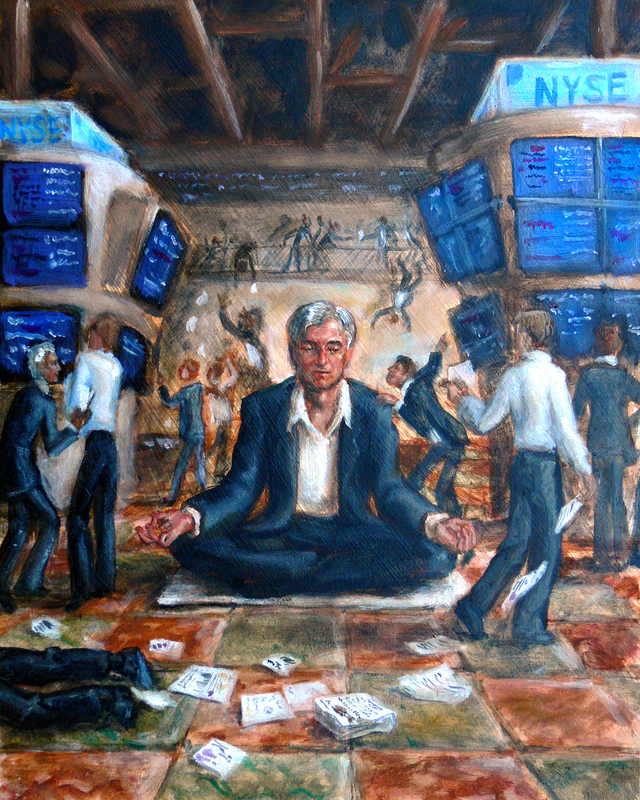 You should be calmer, relaxed and more centered in the midst of the noise and frenzy of media pundits and Wall Street. An unwavering commitment to your investment plan should allow you to let go of unnecessary worry and enable you to focus on what truly matters to you most. 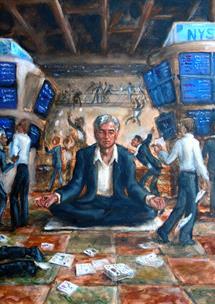 You should not only be rewarded emotionally, but you will also improve your probability of investment success. Why would you want to do anything else? -3 Carol J. Loomis, "Buffet's Big Bet," Fortune, June 23, 2008. -4 Charles Schwab, Charles Schwab's Guide to Financial Independence: Simple Solutions for Busy People (New York: Three Rivers Press, 1998). -5 David Swensen, Unconventional Success: A Fundamental Approach to Personal Investment (New York: Free Press, 2005). -6 Swensen, Pioneering Portfolio Management: An Unconventional Approach to Institutional Investment. -7 David Swensen, "The Mutual Fund Merry-go-Round," New York Times (New York, NY), Aug. 13, 2011.